send items if it doesn’t create a hardship for your family. as they are faced with these tests. is invaluable and we appreciate all that you do! 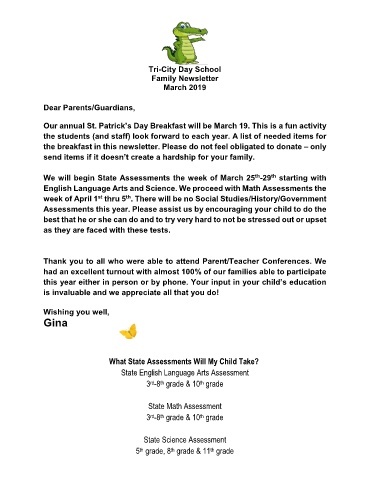 What State Assessments Will My Child Take?